Blog > Christmas > What are you knitting over the holidays? With your gift knitting completed, the Christmas and New Year break is a great chance for some selfish knitting, but Merion needs your help! Bella Wrap by Belinda Harris-Reid – could this be my holiday knit? So, after one chunky jumper, several pairs of gloves, a few cowls, a couple of scarves and some cushions, my needles and hooks are sitting back in my grandma’s oak chest, enjoying a well deserved rest. For now. Once the Christmas festivities have subsided, I’ll be knitting again – but what? In the autumn, I was set right through until now, with Christmas gifts on my needles. The Husband Jumper was started first, because let’s face it, “man jumpers” are no small feat (ug, those sleeves!) and it had a grafted roll neck and button placket, which was gorgeous but I don’t need to do it again! I knitted it in Katia Peru, and the whole way through, in shade 13, a deep granite grey, I didn’t have one moment of not loving the yarn. Super yardage, very lovely on the hands and the needles – it’s a truly great chunky weight yarn. Lots of gloves and mitts were great to knit on the train. I don’t know about you, but I always have several knits running at once: one for the sofa, one to work on in bed, a couple for the train, one for the car – and thank heavens this year I have the fabulous LoveKnitting app installed on my phone to keep track of exactly what I’m doing! But now that the pressure has subsided, I’m feeling a little bit lost. I bought some dreamy BC Garn Semilla Grosso (in shade OA106) and I have some Fyberspates Vivacious DK in my stash that is calling me. In addition to these two very lovely yarns waiting for me, a little voice is whispering “socks” in my ear – I’m currently choosing to ignore it! Traditionally, this moment of time has been where I have been able to knit or crochet for myself. One year I knitted a giant teal jumper, another year, a crocheted cardi. Why on earth can’t I decide what to make? Do I find a pattern, or do I launch into the unknown without one? And then there’s Jewel Lake, by Kristen Hanley Cardozo – one look at that neckline has me sighing, not to mention the ribbon threading! But the yarn I have at home is more of a solid shade and not a hand-dyed semi-tonal, so this might entail having to buy yarn in the sale (what a terrible, dreadful thing for me to have to do!) unless I plunge in with a solid colour. And, I must concede, I am a lady of certain dimensions – and these models are all very slender. Would these two look as nice on me, I wonder? Lucy in the Sky, pictured below, is a fabulous fitted cardi by Laura Chau, that would be useful in so many situations – what do you think of this one? Don’t you just love the diamond motif? I’m also madly in love with the Green Leaf cardi by Melanie Mielinger! Just look at those front bands! I have, at points this week, actually woken up from dreams where I’m searching through patterns! Does this happen to you, fellow crafters? I wonder if it’s because I’ve built it up in my head and not just let the yarn and patterns do the talking. Or is it because it’s easier to knit for other people than ourselves? I’m sure there are many theories, but time is marching on and I must decide! I would love to know what you are knitting over the holiday break! Is it for you, or for someone you love? 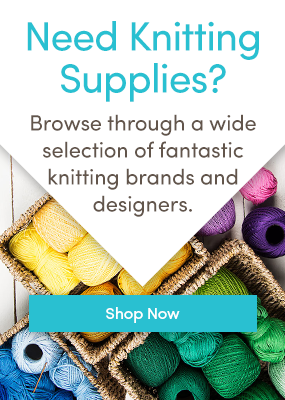 How do you decide what to knit? 4 Responses to What are you knitting over the holidays? The designer name is incorrect on Lucy in the Sky. It’s Laura not Tracey. Lucy in the Sky is such a cute pattern, you should go for it. For me, it’s the roam tunic, by Amy Christoffers. I’m trying to use berroco Kodiak, and it’s working well so far, in the swatch. I’ve started to knit a shawl for my Granny. She used to knit lots of things for me when I was a child, now it’s my turn to care about.